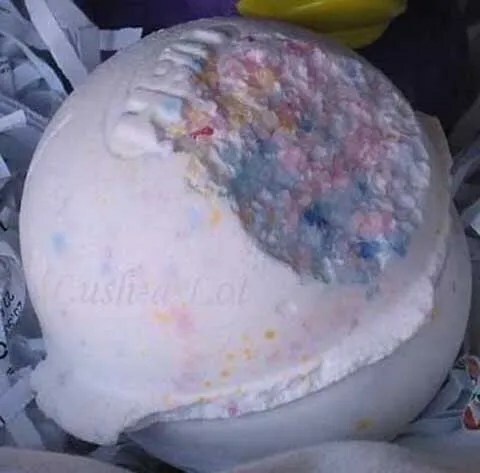 Review: A very pretty ballistic, it’s white with pastel pink, blue and yellow soap confetti and yellow, pink, blue salt crystals in the outter middle of it. It’s powdery and floral and slightly perfumey. The smell is similar to “Sakura” ballistic but with a strange undertone to my nose that keeps this from being stellar to me. 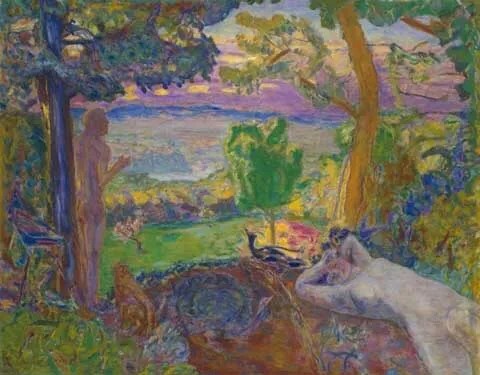 Bon Bain Bonnard was fairly popular. The other three “Artist” ballistics that Lush has made are “Monet’s Garden” and “Kiss Me Klimt” and “Still Life“. Ingredients: Bicarb, Citric Acid, Coarse Atlantic Sea Salt, Rose Oil, Perfume, Orange Oil, Crocin, Colorform Turquoise, Colorform Crimson. Lush Times 2002 description: This is the Artistic Bath Bomb, named after Bonnard, influenced by his paintings of the nudes in the bath and inspired by his work ‘White Interior’. Arguably one of the best smelling bath bombs. The sea salt will make your body feel new, and the orange blossoms will do the same for your mind. A bomb for everyone in search of inspiration. 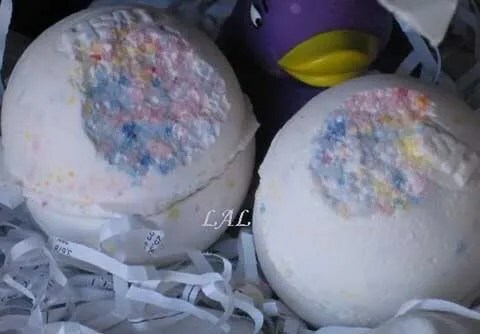 Posted on August 20, 2015 by Lushalot	• This entry was posted in Bath Bombs and tagged 2002, Artistsseries, bonbainbonnard, floral, orange oil, retro, rose oil, sea salt. Bookmark the permalink.